Pipl is a new search engine for finding people, generating results from parts of the web that other search engines cannot reach. 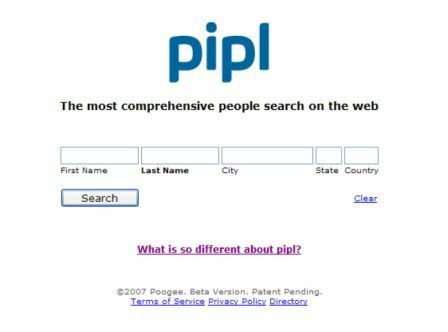 According to Pipl, the best search engines fail when it comes to people search as most personal profiles and public records are stored on databases, and are invisible to search engines. Pipl therefore searches the ‘deep web’, which is said to contain 500 times more content than the surface web. Its crawlers are set to interact with searchable databases and extract information from public records. Pipl does give you a lot of information in the search results, and returns these results quickly. However, these results could do with a lot more explanation to help you evaluate them. In addition, when I searched for myself, the only relevant results came from a Google search. Pipl has competition in the area of people search, including Spock, which is currently in beta. Around 30% of internet searches are people-related, so there is clearly an incentive to get involved in this market. 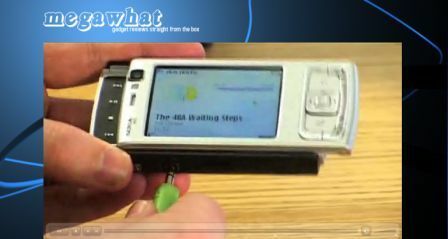 Gadgets news and review website Pocket-lint has teamed up with Flawless media to produce Megawhat.tv, an online IPTV channel dedicated to gadgets.